Surprise! Welcome to the first day of Blogmas! Technically tomorrow is that first official first day of Blogmas but if you follow my blog you know that Friday is my Weekly Edit posts so I decided to start my Blogmas post today instead. Along with Blogmas, I am also participating in 12 Days of Diy again this year. Most of the projects are crochet patterns but I do have a few non-crochet scattered throughout the month. 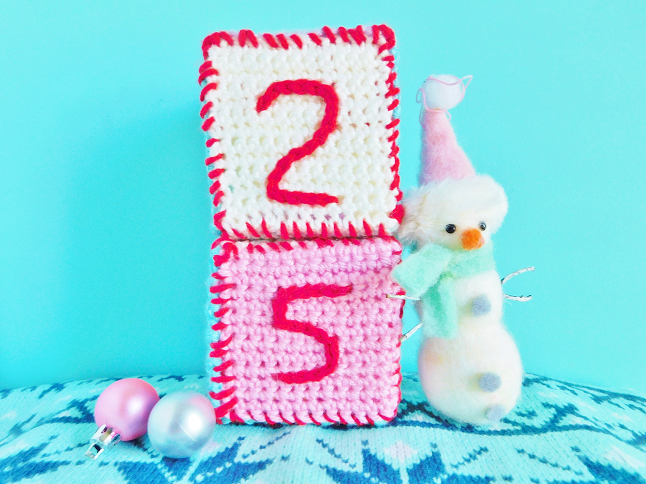 I'm starting off 12 Days of Diy with these Crocheted Christmas Countdown Blocks. Not only can you use these for Christmas but for anything that you are counting down to such as holidays, birthdays, vacations, etc.You can use whatever colors you want but I went for pastel colors because I know if I picked Christmas colors I probably wouldn't use them again until next December. It's a very easy project but it does require a lot of sewing. 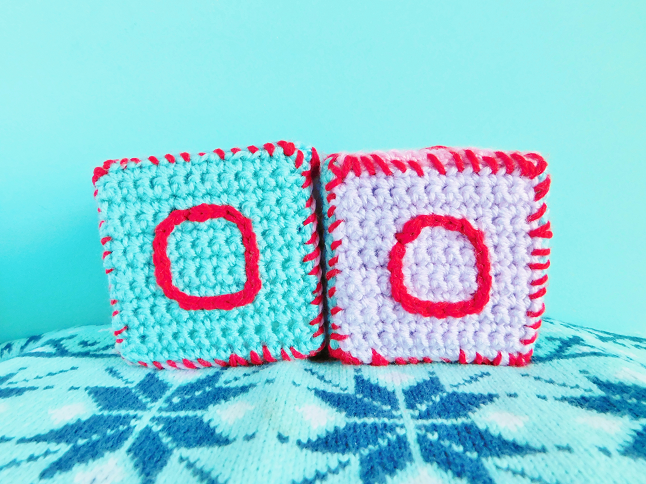 Surface crochet the numbers 0, 1, 2, 3, 4, 5 on each square for one cube and 0, 1, 2, 6, 7, 8 on the other cube. Next, with red yarn sew the sides together to form a cube. Insert your wooden or paper block inside before you finish sewing the block closed. If you are using a paper block stuff the inside so it doesn't fly around all over the place. These are WAY. TOO. CUTE! 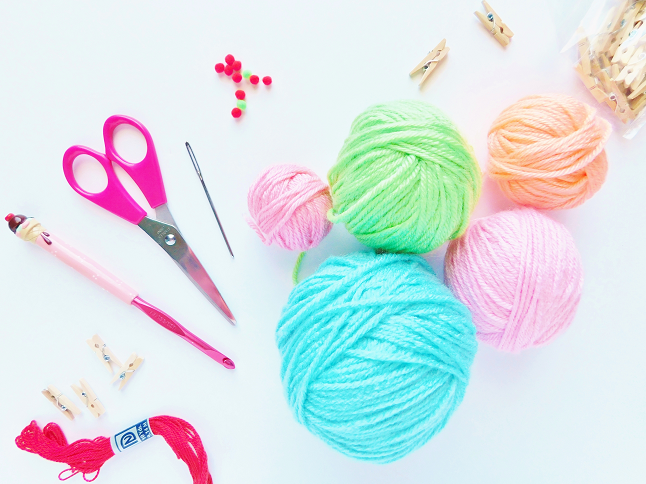 I love how creative you are, I can't believe you've come up with 12 different DIY ideas?! I love DIY projects, but I'm not sure I could think of that many ideas! I can't wait to see what else you have in store for Blogmas.